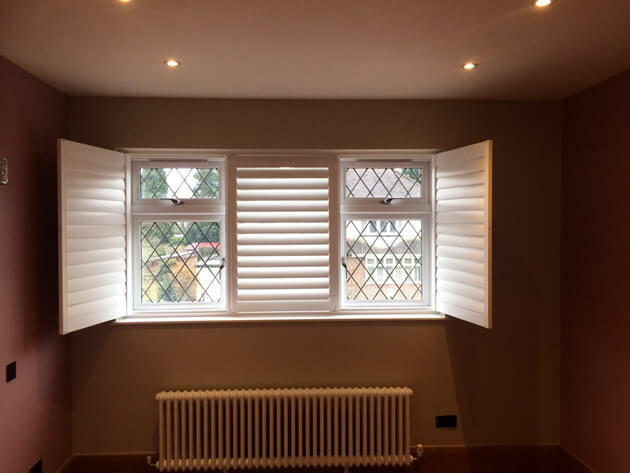 These shutters were fitted to a bedroom in a house in Beckenham, Kent. 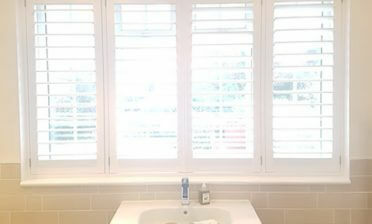 The shutters look fantastic closed or fully open and allow full access to the windows behind. 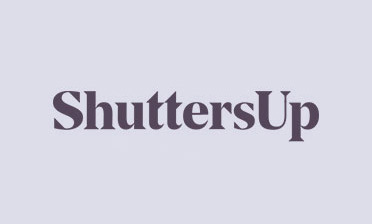 When closed they can be adjusted by touch of the louvres using a silent tilt rod system, which means that touching one louvre will result in the rest opening by the same amount. 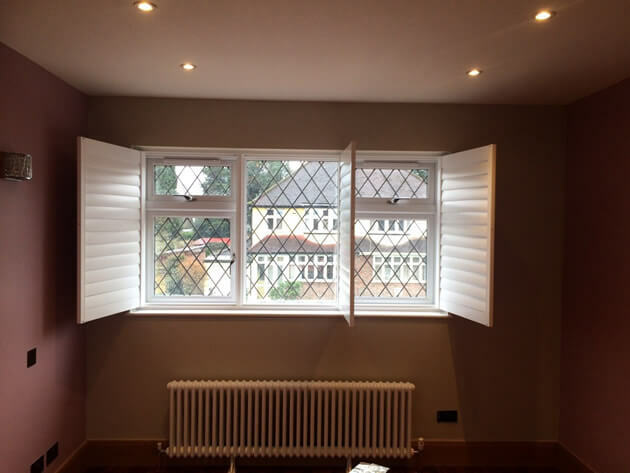 Many customers opt for this type of system as there is no need for a visible tilt rod! 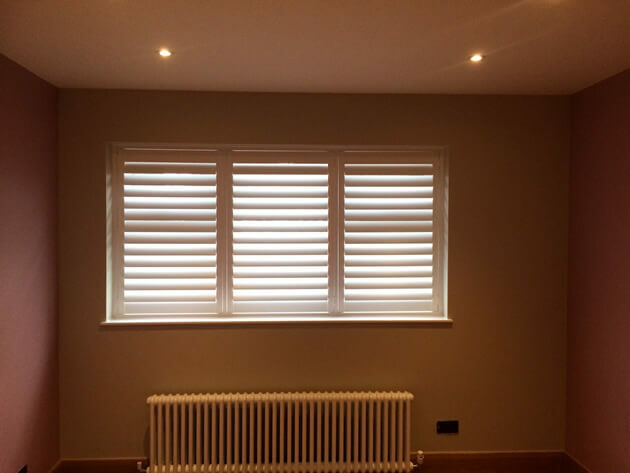 The shutters are made from our Cuba Range which is an environmentally friendly solution and is both strong and lightweight. We used 89mm tilt rods on full height panels complete with T Posts. 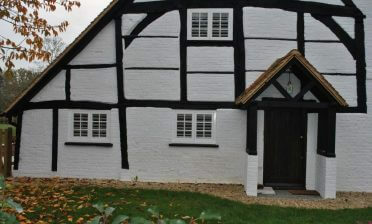 They were then finished in Pure White with matching hinges to complete the look.